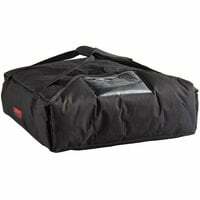 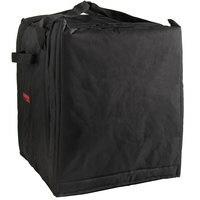 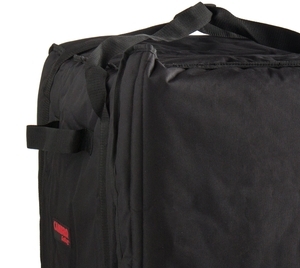 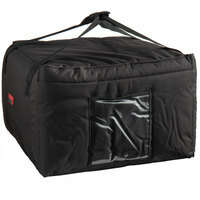 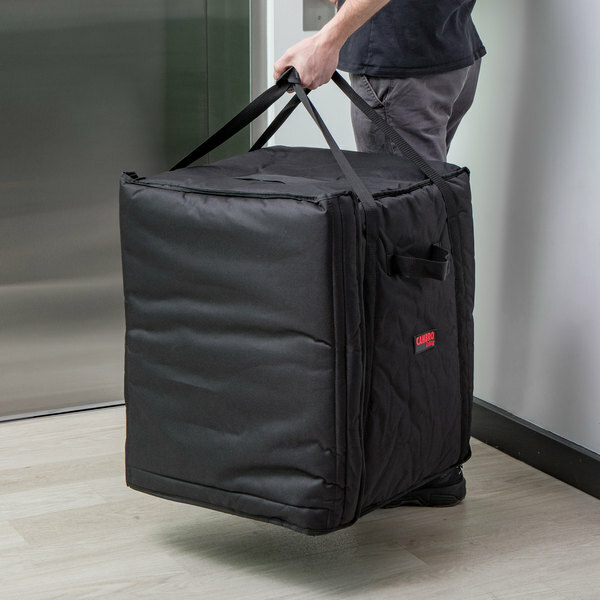 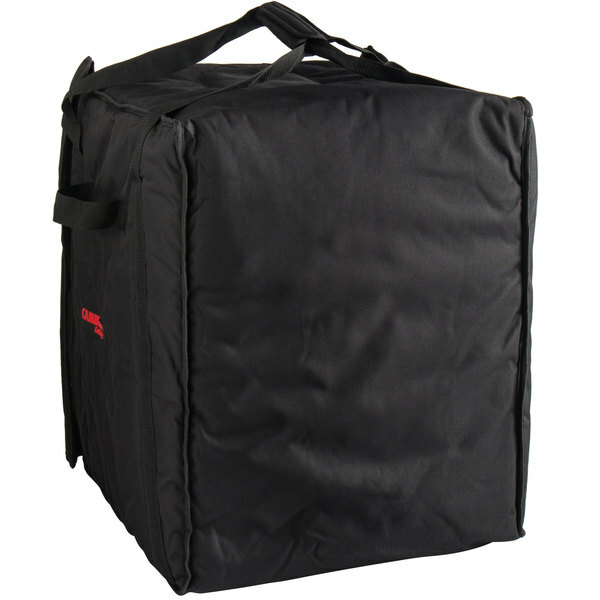 Deliver pizza at the proper temperature with this Cambro GBP1018110 insulated black pizza delivery GoBag™. 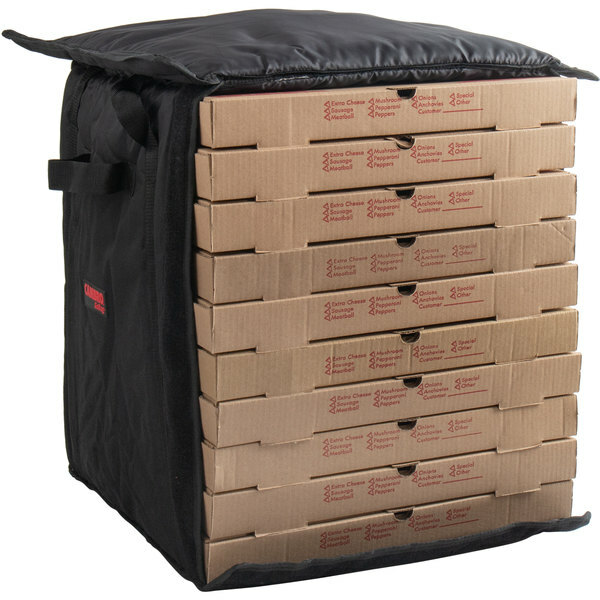 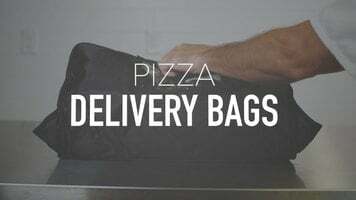 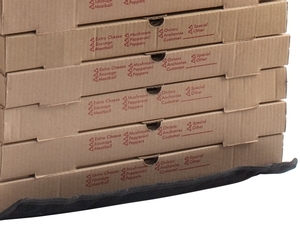 Perfect for large volume orders, this pizza delivery bag can hold up to (10) 18" pizza boxes. 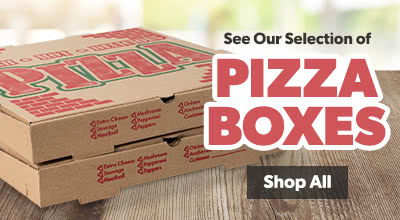 Your customers will appreciate piping hot pizza that tastes like it was just pulled out of the oven delivered right to their door. 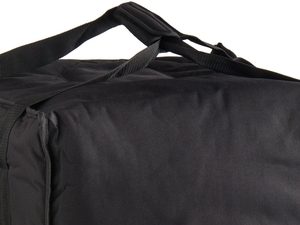 Plus, a convenient ticket pouch holds your tickets and receipts securely in place so they do not become misplaced in transit. 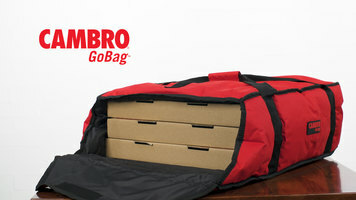 From a brand you trust, this Cambro GoBag™ will help you maintain the quality of your carefully prepared foods to ensure exceptional customer satisfaction. 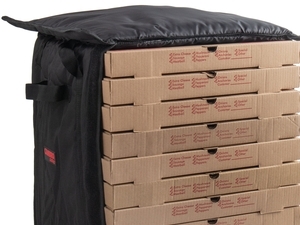 High-quality materials and sturdy construction are essential to protecting your food quality and temperature from the kitchen to the customer. 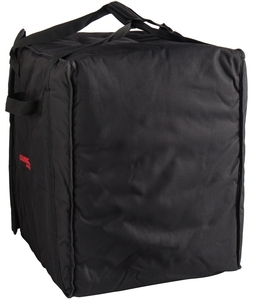 With thick, sturdy nylon fabric lined with high-density, recycled PET (polyethylene terephthalate) insulation, this bag will keep your signature items hot. The 600-denier polyester fabric is breathable which will protect the quality of your food and your brand when delivering to your customers.